To give an example of a finished nme I have included this piece "Nathan". 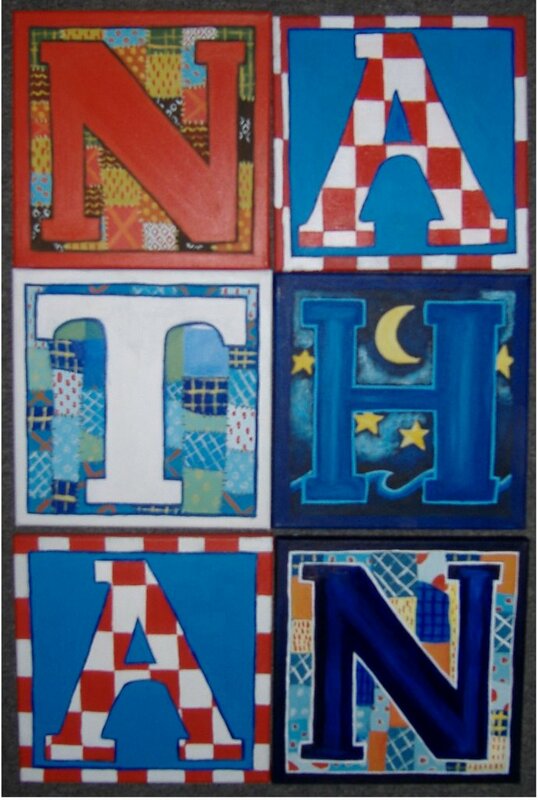 Contact the Alphabet Shoppe at madcraftshoppe@live.com to submit your order, letters are Sixty dollars each. 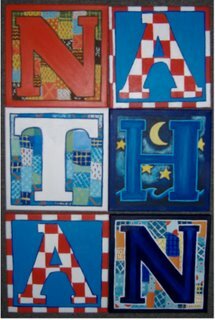 Letter styles used Quilted Red "N",Checkerboard "A",Quilted White "T", Night Sky "H", Checkerboard "A", Quilted Dark Blue "N"